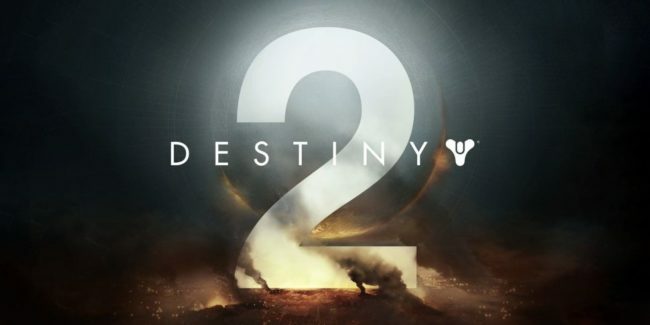 In a future developed by the mystic power known as the Light, Destiny 2 brings a new story surrounding the guardians, as well as a grand foe. A light of redemption is here for Destiny 2, and it brings the game to a whole new level ahead of it’s release in a few months. Those playing the beta should notice a sharp difference between this beta and the original. The original Destiny gave players full story missions. 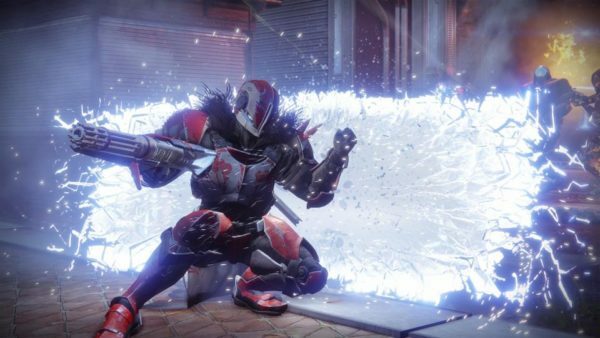 Destiny 2’s beta takes a different route. Players select one of the three classes available: Warlock, Titan, or Hunter. 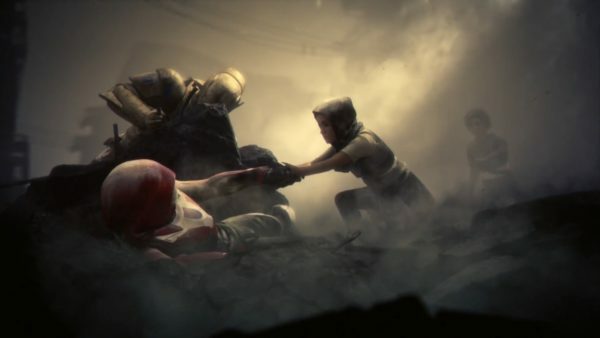 After choosing one, players see a cut scene of Earth and the Last City. Shortly into the cut scene, the city is attacked by an army known as the Red Legion. The player, just coming back from a previous mission, arrives at the battle. Then, players are pushed into the fray with little explanation and one goal: fight. The story mission itself takes about 20 minutes, and gets things going quickly. There are favorite characters from the original Destiny included, but mainly it serves to setup Destiny 2. The end of the mission, reveals the Last City has fallen, and with it, the Darkness begins its reign. The Destiny 2 beta reveals really nothing else on its story. This feels like a good thing, as it doesn’t give too much away. However, it does give just enough, leaving players with an intense story when the full game comes out. Ultimately, betas are remembered more for their gameplay. 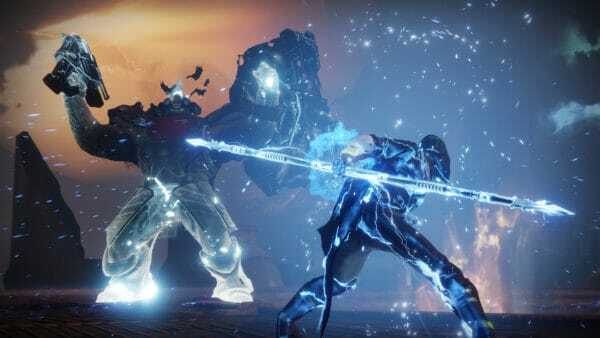 Destiny 2 brings back old gameplay mechanics from the first game with a few improvements. For the purpose of this preview, I chose the Hunter class. A fast-paced class that, more often than not, requires players to flank and sneak. The beta allows characters of each class to start off with about three to four Primary, Special, and Power weapons. Some improvements were made from the original weapon class types. For example, weapons like hand cannons are heavier. While auto rifles have better handling and a faster trigger. Abilities have also changed up. Grenades have a longer cool down equal to all classes, which is a change from the previous game having cool downs be class specific. Warlocks have more support abilities. Hunter’s blinks feel more like dodging, and less like warping. You can also switch out supercharged abilities that vary depending on the class. For Hunter, I found my preferred abilities were the Arc Staff instead of the Sun Shot. The beta focuses on three modes: Quickplay, Inverted Spire (PvE) and Competitive. The two modes of PvP are very heavily focused. This gives an inclination that Destiny 2 may be trying to open it’s doors for competitive play. The shooting is a smooth, as Destiny 1. I ran into very few tech issues on the PS4 version, and actually had fun in the two PvP modes. Quickplay was similar to a capture the point. It’s simple, but also allows players to get comfortable in open environments. While also training players to be aware of their surroundings. Competitive was very much focused on heavy teamwork. Depending on the side, players have to set charges, or defend the points preventing the opposing team from setting charges. Teamwork is essential, as opposing players can come out on a big assault, if players don’t work together to take them out. Destiny 2 is certainly on the right path. The bulk of the problem with the first Destiny was the lack of story, in-game. The Taken King DLC remedied this somewhat, but by then many gamers chose to drop the game. However, a large contingent remained, and Activision continued updates and more DLC. Destiny 2 allows for a clean slate story wise, but it’s not something we can really see until the full game is out. It feels like the developers listened to the players and improved on what was wrong in the first Destiny.